Your credit score impacts more aspects of your life than you probably imagine. Before we get into the different ways that your credit score impacts you, it is worth thinking about what it actually is. Your credit score is a rating. It’s something which tells lenders and other individuals how reliable you are with money and in particular, loans. Your credit score can be affected by a range of different factors that we also need to consider. If you have never borrowed money in your life, your credit score may be poor. This isn’t because you’ve made any mistakes with money per say. It’s simply because there’s no data to determine whether you are a sure bet when borrowing money. 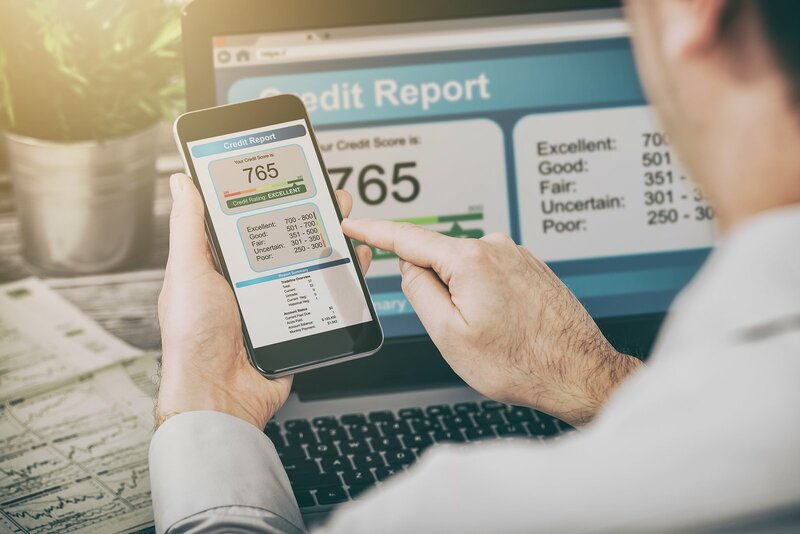 Today, we’re going to look at what affects your credit score, what in turn it impacts and perhaps most importantly of all, how you can improve your credit rating. There are various factors that can impact your credit score. Indeed, there are so many that it will be difficult to squeeze all of them into one article. So, let’s break them down into different groups instead. General credit score factors include your history of payments. For instance, you might have a brilliant track record of paying the money back on time. If that’s the case, your credit score might improve. Utilization is also important depending on how much your credit you have to use and across how many accounts. More accounts may mean a better score, but it will, of course, depend on how you use them. In other words, you need to think about how much balance you have on these accounts. Some models will also look at how you have used credit over the years and the different types of credit that you have depended on. Even checking your account can impact your credit score. You should always check online and see whether the resource you’re using for a check will impact your rating. On top of this, there are various issues that will kill your credit score. These include missed payments, collections, charge-offs, settled accounts, repossession, and bankruptcy. Any issues like this will take your score through the ringer and lead to a difficult recover. Interestingly, though, theses issues won’t impact your score forever. Let’s say for instance that you have declared level 7 bankruptcy. In this case, none of the debt is paid back. If this happens, it will only impact your score for ten years. After that, it’s wiped clean. Losing your home to foreclosure will also seriously hurt your score. Be aware also that you don’t have to have negative actions on your account to negatively impact your credit score. For instance, you might only use credit cards for loans. This could decrease your credit rating as could opening new accounts or even closing old ones. But again, this does largely depend on how these different types of accounts are being used. Don’t worry, there are ways that you can change your credit score, improving it. We’re going to get to those possibilities. For now, though, let’s move on to how bad credit impacts you. Take a credit test, fail and you might be surprised just how many negative effects it could have on your life. First, you might find yourself paying more for bills. Anything from cellphone prices to utility bills could be higher, simply because you’re less trustworthy to sellers. So basically, you’ll find various costs are more expensive, and that’s definitely going to hit your basic living budget. Of course, the main issue with credit scores is that you’ll have more difficulty borrowing money on good deals. Essentially, you could find yourself looking at mortgage rates with massively higher levels of interest. You certainly don’t want to get involved with a bad credit mortgage. But, if your credit rating is in the toilet, that could be your only option if you want to buy a home. It’s not just buying property either. Even renting could get more difficult with a poor credit score. Why is this? When you rent, you will be paying money each month. If you have a history or a record of not paying bills on time, will you be trusted to keep up with these payments? The answer? Probably not and if you are, you might find that it comes with strings attached that make it less affordable. It might even impact both your personal and professional life. Let’s think about your personal life first. If you have a poor credit score, you might find that you struggle to get dates. Indeed, four in ten adults, when polled, said that a credit score would impact their decision to date, someone. How would they know your score? Well, they could ask you, and if they really wanted to, they could also check it out for themselves. Don’t forget, with enough personal details anyone can check your credit rating. As far as a professional impact a poor credit score could change whether or not you are successful when applying for a job. Applying for a job an employer or potential employer can check out your score. Particularly, if they think it’s relevant for the position that you’re going after. So, if you want to make sure that you get any job related to finance, you need to make sure you’re improving that number. Any kind of loan also becomes more difficult. A bad credit score will impact whether you get the loan you need for a car or even a holiday. Ultimately then a credit score can impact how you pay for things and whether or not you can rely on that credit card in your back pocket to handle more expensive or luxurious purchases. Of course, this is just a taster of how a credit score could impact your life. Even so, it is quite substantial, and it’s probably left you wondering whether there are any ways to improve your score. As it turns out, there are so let’s look at some of the possibilities. If you want to improve your credit score, there are a few steps that you can take. First, do make sure that you are paying those bills on time. If you can, set up bill payments as direct debits. This is the easiest way to make sure that they come out at the right time every month without fail. It’s kind of like treating bills like little taxes. Even small bills can damage your credit score if they are not paid on time. Keeping up to date will reverse most issues. This will give you a positive payment history and make sure that when lenders look at your history, it’s something of a glowing review. If you have never borrowed, you won’t have any credit data at all. While this should put your score at neutral, it often means that it has a slightly negative slant. That’s why you need to make sure that you get a credit card, particularly if you want to make sure that you boost your credit score as quickly as possible. Thankfully, Upgraded Points have created a list of instant approval cards. Using this you should easily be able to find out what cards you can quickly get approved on and start using credit. This isn’t the only way to boost your score rapidly either. If you can, open a joint account with someone with a positive credit score. That means that when you repay debt, the job will be shared, but they will already have an excellent track record that you should be able to easily piggyback off. Remember, when you do start using credit cards to quickly buy things that you can easily pay back. So you might get a new sofa and pay it back little by little each month, quickly boosting your credit by staying within the payment margins. Don’t open too many accounts either. You need to make sure that you are only opening accounts that you actually need. Opening too many accounts will lead to inquiries, and it’s best to just stick to one or two rather than several. This can be a reading light for some credit checkers, often leading to further investigations. Finally, you need to work to clear off your debt. This will help that credit utilization ratio that is an important determination of your final rating. However, don’t get ahead of yourself. In other words, don’t try to pay off too much too fast. Even just small dents into your debt will slowly but surely mend that broken credit score, and eventually, you’ll be back in the green. We hope you have found this information helpful and see just how important your credit score is. Remember, no matter how much your credit score has been damaged, you can repair it over time and return it to a state where it will be a benefit to your life rather than a drain.